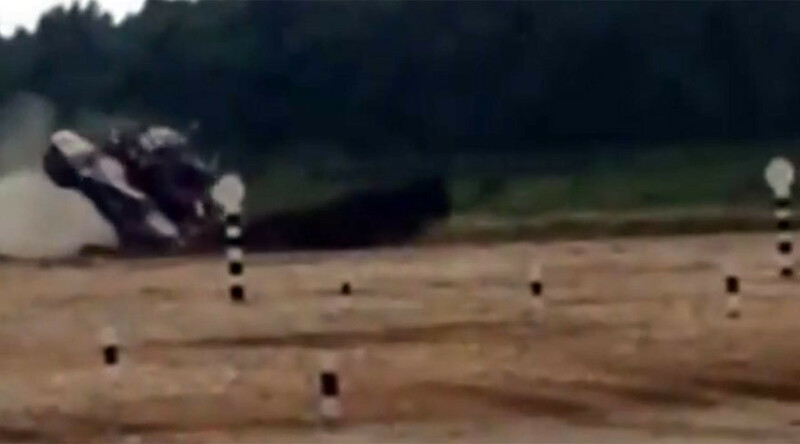 Military engineers have been competing in taking hardware across a river and crews on armored personnel carriers (APCs) have been holding breath-taking competitions as part of the ongoing International Army Games. 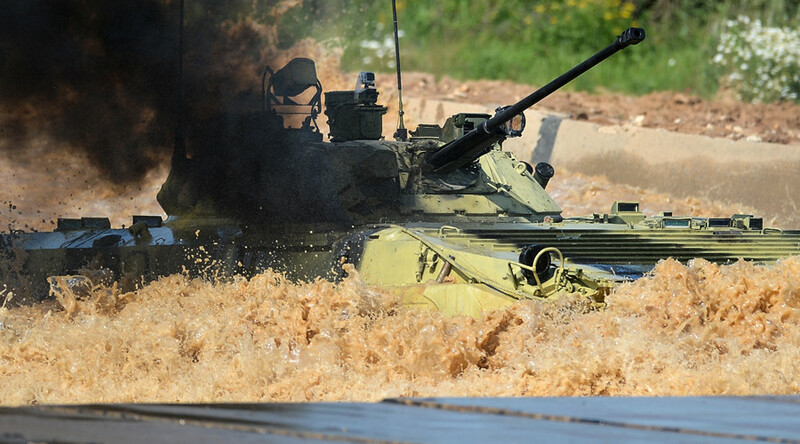 The contest for the APCs, called the “Suvorov Onslaught” (after the famous Russian 18th century commander Aleksandr Suvorov), has seen teams from China, Russia and Venezuela taking part. 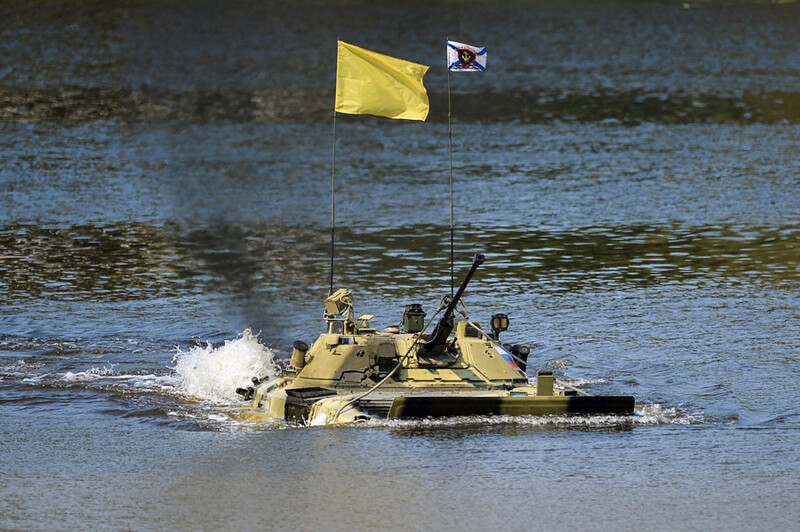 The crews have been driving Russian-made BMP-1 and BMP-2 amphibious infantry fighting vehicles armed with 76mm Grom cannons (BMP-1) and 30mm automatic cannons (BMP-2), as well as 7.62 machine guns on both vehicles. 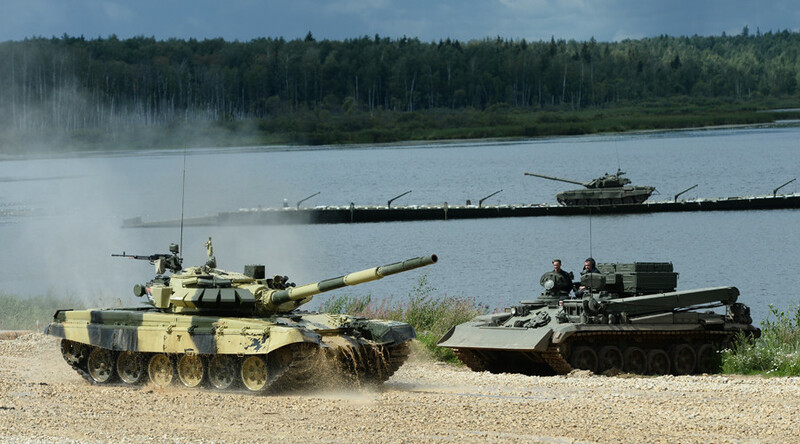 Like the Russian Tank Biathlon, it is being held at the Alabino military training grounds, a huge territory with simulated rugged terrain in the Moscow region. 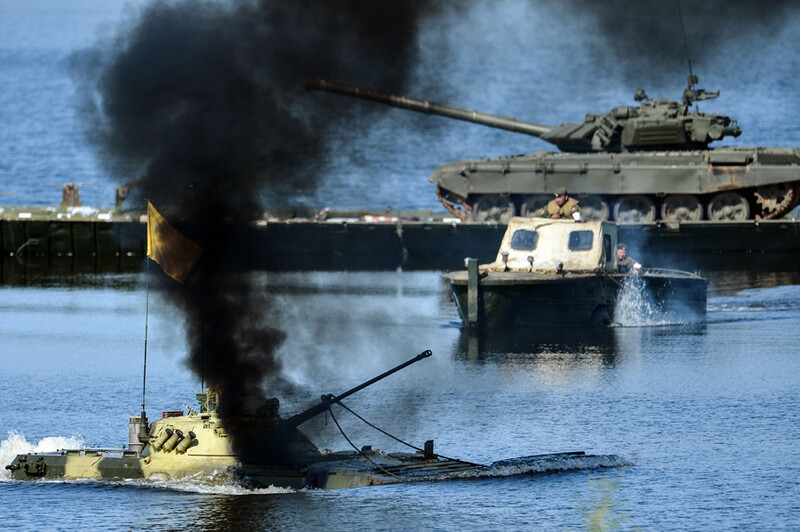 Simultaneously, sappers from Belarus, China and Russia took part in the Open Water contest. 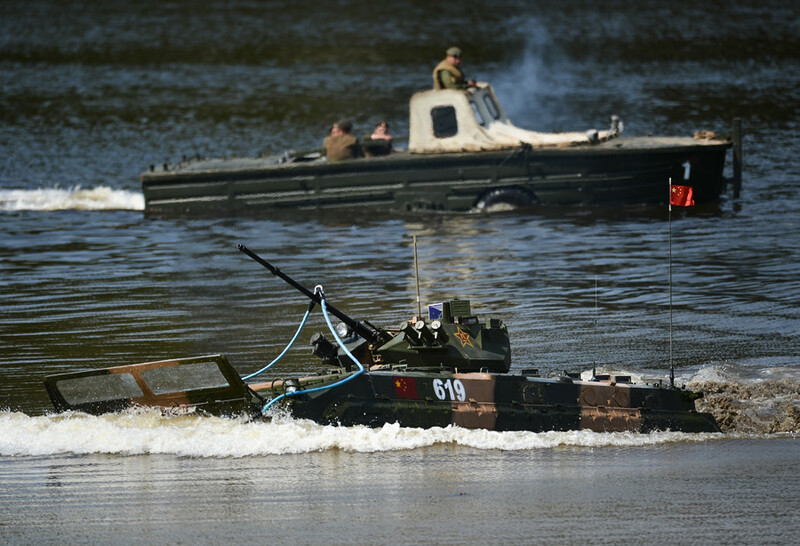 They were doing various types of ferrying exercises, from constructing a pontoon bridge to transporting military hardware using special amphibious vehicles. 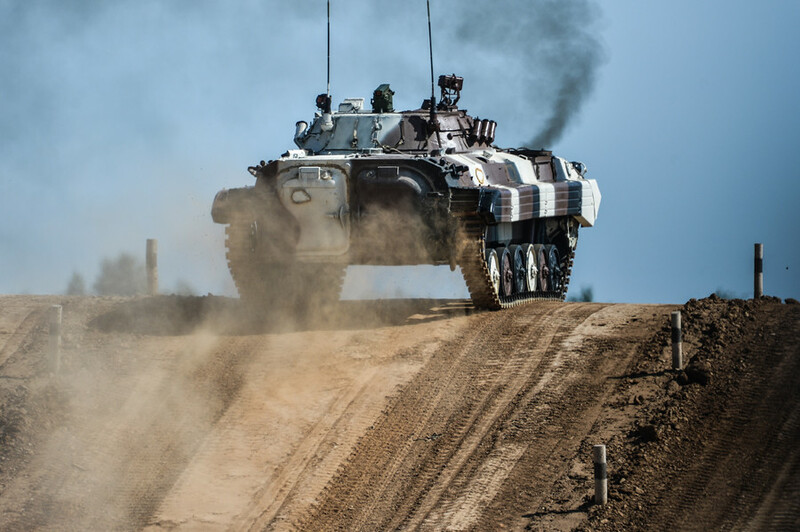 Army engineers loaded their amphibious transport vehicles with military trucks and ensured secure transportation from one bank to the other of BMP-2 amphibious infantry fighting vehicles (unit weight 14 tons) and T-72 main battle tanks (unit weight 42 tons). 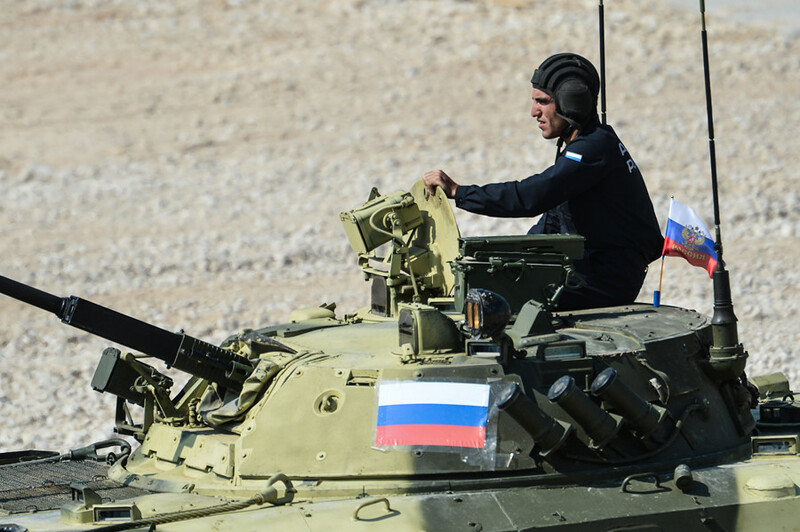 Organized by the Russian Defense Ministry, the International Military Games include the Tank Biathlon, AviaDarts air force competition, the Caspian Cup naval contest and the Suvorov Onslaught, where military personnel test their land and aerial skills. 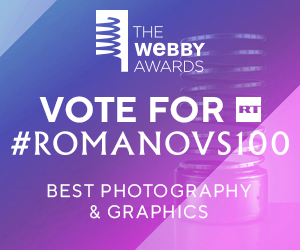 The contests are being held at 11 different locations across Russia. More than 2,000 foreign troops, 57 teams from 17 nations are taking part in the games, with 400 foreign observers attending the events. 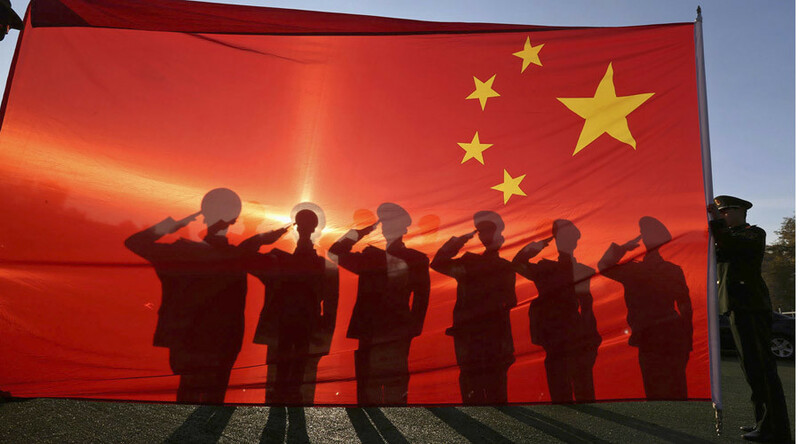 All nations are using weapons presented by the hosting side, except for the Chinese. 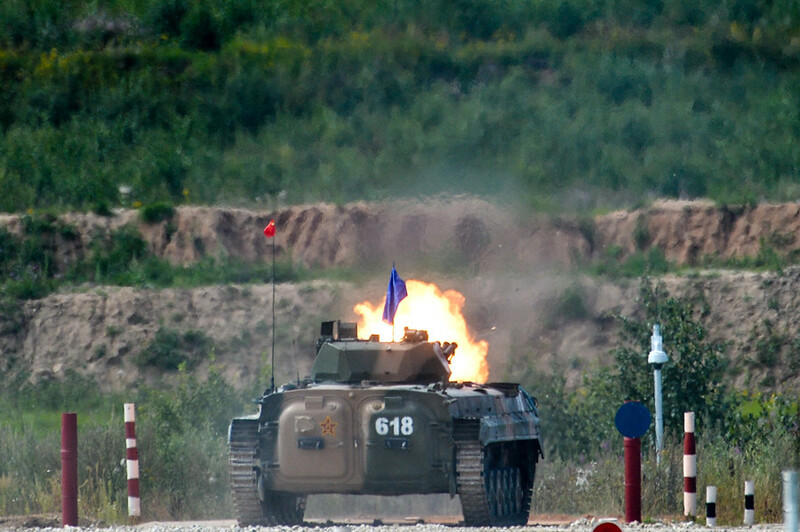 The People’s Liberation Army of China brought four Type-96 tanks for the Tank Biathlon, four infantry combat vehicles for the Suvorov Onslaught competition, 120mm self-propelled mortar-howitzer PLL-05 systems to participate in the Masters of Artillery fire contest and Russian-made Su-30MKK strike fighters for the Aviadarts.